Was the US-led war on terror, especially the invasions of Afghanistan and Iraq, a necessary response to the September 11 terrorist attacks? What did the two invasions accomplish? How have the fortunes of al-Qaeda and like-minded organizations been affected? 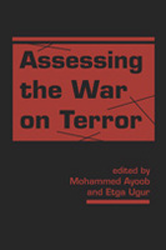 The authors of this important contribution to ongoing debates address these questions as they assess the impact and implications of the war on terror for the Middle East, for Europe, and for the United States itself.